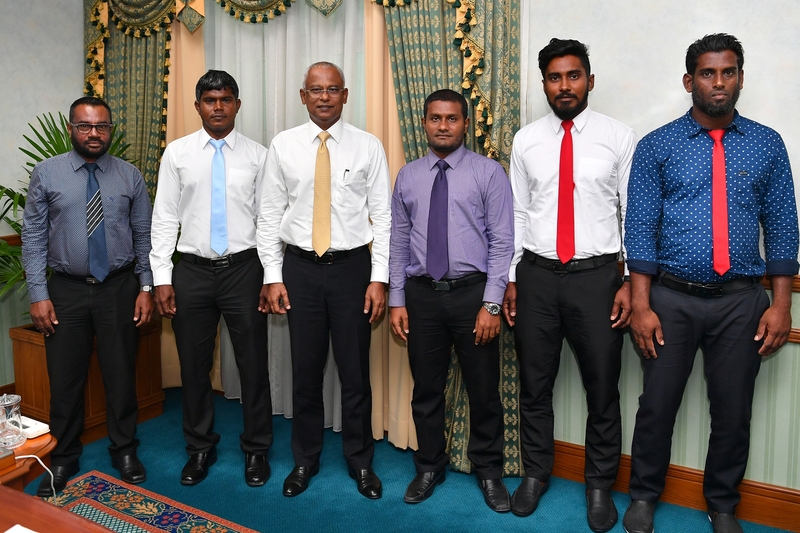 President Ibrahim Mohamed Solih has met with the members of the Maarandhoo Island Council, at a meeting held at the President’s Office today. At the meeting, members of the council shared with the President the people’s concerns, especially the lack of proper water and sanitation systems in the island. Council members also highlighted the challenges being faced in using the current harbour of the island, the need to fulfil human resources and other requirements for the island’s health centre in order to serve 16 hours, and the need for adequate waste management services. Speaking at the meeting, President Solih reiterated the administration’s commitment to resolve the people’s needs. The President also said that priority will be accorded to fulfilling the fundamental needs of the islands, in implementing the administration’s development plan.